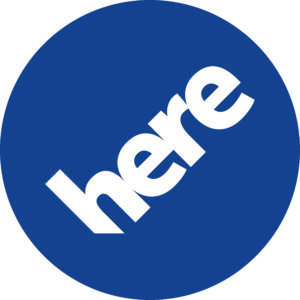 HERE combines highly accurate maps with cloud technology to power rich and real-time location experiences across over 1B connected devices. HERE’s offline maps enable users to access critical location information—including 3D maps, live traffic, public transit, and venue maps—no matter where in the world they’re searching from. HERE makes 2.7M+ map updates every day, drawing from more than 80,000 different data sources and 196 countries. HERE’s map data also powers the in-dash navigation system HERE We Go, used by 4 out of 5 drivers in North America and Europe.